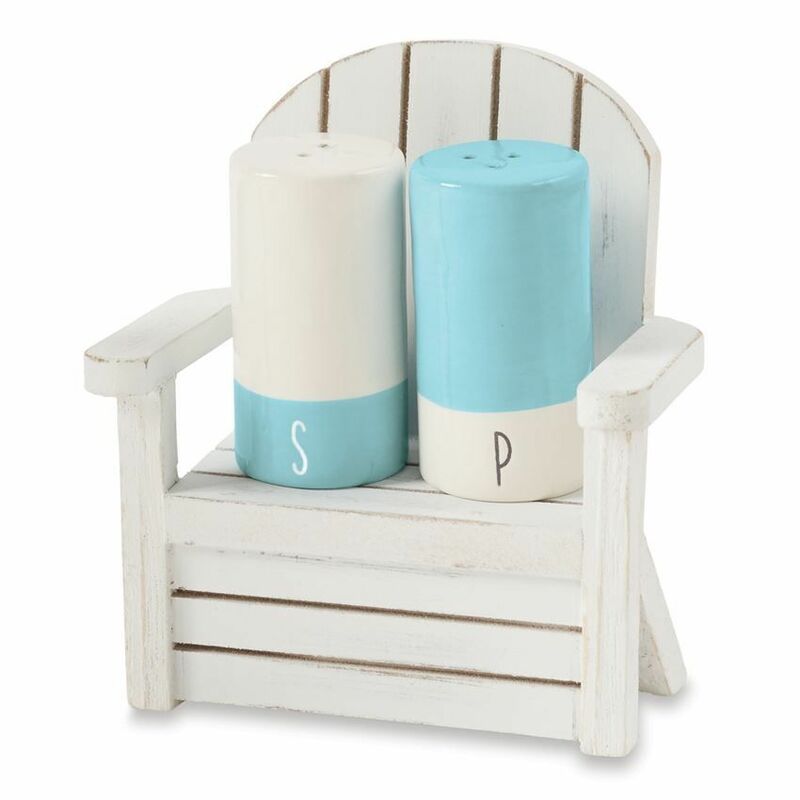 Beach Chair Salt and Pepper Shakers Set. Size 4.5x3.5 inches, shakers 2.25x1.25 inches each. 3-piece set. 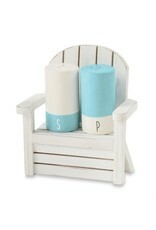 Two ceramic salt and pepper shakers feature debossed "S" and "P" identifiers and rest in white-washed wooden beach chair. Coastal Beach House, Adirondack Beach Chairs Themed Everyday All Occassion Gift Collections. Mud Pie Gifts Serve-ware tabletop and home decor for everyday, birthdays, seasonal and holiday gift giving and entertaining. Found Available and in stock now at the interior Digs N Gifts Store Online or In store for local pick up.